To tell them about your Supernatural, Miracle Working, Promise Keeping, Living God who changed your life. Jesus, who promised He would come back again! Have you taken the time… to tell them? After carefully examining the following I am sure you will see that no one else in all of history other than Jesus, has fulfilled these Messianic prophecies. God also gave the Jewish rabbis who lived during the time of the birth of Jesus specific prophecies so they would be able to recognize WHO the Messiah would be. These spiritual leaders of Israel (Pharisees, Sadducee’s and Scribes) spent their entire lives studying the Old Testament searching for their coming Messiah. They missed CHRISTmas! They also missed the fact that the Messiah belongs to every person created by GOD in His Image; not just to the nation of Israel. Who is the one Crucified? Psalm 22.
Who has ascended into heaven, or descended? Who has gathered the wind in His fists? What is His name, and what is His SON’s name, surely you know! Here in the Old Testament you find GOD Word saying HE has a SON! “To HIM give all the prophets witness”… (Acts 10:43). In the volume of the book it is written of ME”… (Ps. 40:7; Heb. 10:7). According to Gods Word there is a second death. It is a spiritual death that will leave the person in outer darkness…blind for eternity without hope. On this physical plane of existence most people struggle to reach the top of the mountain. Their personal ambitions and desires shrouded in pride, and self-awareness drive their calloused hearts and self-absorbed minds ever forward. They are intensely focused on getting to that door at the top of the mountain where they believe they will have arrived and finally fulfill their purpose for themselves and be satisfied. No one else matters in this personal journey to self-fulfilled glory. People get there by using other people for their own benefits. Cast off on the side of their road to success are spurned people who once trusted them, loved them…broken people left far behind. They make up parents, wives, husbands, friends and children. There is a procession of haunting memories that occasionally break into their consciousness and touches what is left of their hardened hearts. Their climb to the top becomes increasingly harder, because the weight of those whom they have left behind clings to their dead hearts like anchors. Finally, their journey to the top of the mountain ends. They have arrived and stand before the door. They are close enough to reach out and touch the handle to open the door at the top of the mountain. Their focus has been so intense, so self-serving that they do not see a small sign just above the door. But why should they see this small sign? All their lives they only focused on themselves, never had their gaze widened to see the needs of all those around them. So they eagerly reach out and grasp the handle to open the door to the fulfillment of their desires. The handle is painful to their touch…it’s so very hot! But they are consumed with their desire so they bear the pain and open the door. Standing in the open doorway they see a light off in the distance, yet they seem to be standing in shadows. As they look out into the distance a faint path emerges that leads to the light. But as they look down they cannot see the place to put their foot on the path so they may follow it to the Kingdom of Light. A random thought comes to their minds; words they somehow recognize but have never heard before “My Word is a lamp unto thy feet”. So, they look up and see the little sign. It says… “If you had seeked me with all your heart, mind and soul you would have found me. You have lived your life in darkness yet you have seen a great light and now it is appointed to man once to die, and then the judgment”. The message falls on a soul filled with shadows and a heart that never became renewed; for they had lived their lives deaf, dumb and blind to the truth. “Yet those who live in Darkness have seen a great light”…says JESUS. I spend a lot of time thinking and writing in the early morning hours and again sometimes into the night. I am sure if you’ve read most of the stuff that has come out of me you’ll notice my focus is extremely narrow. My focus is on the Cross and your resurrection either to Eternal Life or Eternal Death. In the end that really is all that will matter to you. So, I continue to try and come at you, to confront you with the same theme packaged differently in the hope of planting a seed or two into your heart that will begin to change you into the image of God. Some of the stories came out of me like birth pangs while others just flow out of me like a river. Whether these stories are birthed in pain or joy they all give me pleasure, because writing and engaging people in conversations about Jesus is my passion. I seem to write best when things happen in my life that cause me to reflect on Christ, the Cross, OUR Resurrection and the need for everyone to be SAVED. If you are saved and you read my stuff, then my challenge between every line to you is to witness. Witnessing is a conscious decision to step out of your comfort zone and stand alone for Christ. 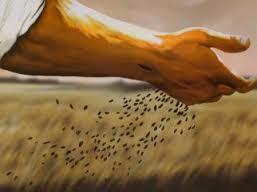 Every day God opens doors both small and great for you to walk up to someone you know and plant a seed. As a believer that is your call, that is your job…which is to serve HIS PASSION which HE personally put into your New Born Soul. I have been sulking lately. I have struggled with the question of why God saved me at 38 years old rather than 18 years old. I could have made something of this evangelistic passion I have that continues to burn within me. Maybe I could have been a pastor, or a teacher, or an itinerant evangelist. Instead I am a salesperson by day and a writer who shares my faith in the night. My desire is to see multitudes of people come to know Christ somehow through the seeds these stories spread thru Crosses Everywhere. I always tell myself it’s about the many not the few, let alone the one. But that is not the way Jesus did His Ministry. It begins with the ONE by making a disciple who then passes on the torch in the race to the next runner. The best opportunities we have for making a difference in the life of someone for Christ comes in two ways. The first is to walk your talk and let your life reflect HIM. The other is to catch the fire of the Holy Spirit when He moves between you and someone you know and you begin to talk your walk. Think of your life in Christ this way. When you were born again two things happened to you. 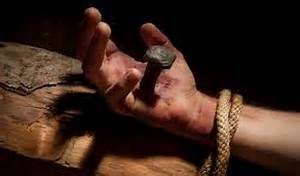 Jesus now carries your Cross for you during this life because He has nailed your sins onto His Cross. The other thing that happened is that the Holy Spirit gave you a bag to carry. This bag is filled with seeds of Truth. This bag is huge and very heavy. The Holy Spirit carries this bag for you as well. It’s there with you always at the ready, filled with seeds that you can plant into the hearts of seekers as they are brought to you during your life. Every choice has its consequences. Every time you decided not to stand alone and speak will be a time before God that you will shed a tear with HIM. The difference will be that He knew you wouldn’t take His Great Commission to those you know and love, let alone those He placed into your life path that needed to hear. But because of His great love for you, He will take you into His arms and the two of you will cry for the Lost that you could have made a difference in; both those precious to you and precious to HIM. You will be fortunate, for He will wipe away your tears and you will forget those left behind. But those left behind will live on in eternal death always remembering you and what you did not do to help them when you could. Your love for the Lord can only be shown by OBEDIENCE to His wishes and commands. 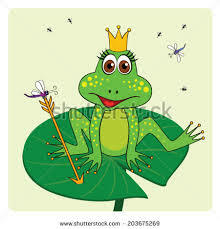 So what’s with the title of this message…the Frog Princess? I have a co-worker named Mike whose daughter Kendall was hurt in a freak accident a few months’ ago. She is a beautiful teenager full of life, popular and a member of the Pom team. While at home she lost her balance and reached out toward a window to support her. The window gave way and when it was over, blood was everywhere and her hand and its tendons were sliced through. She has gone through surgery to reconnect nerves and tendons and then painful physical therapy. She has been through a lot. I have tried when given the opportunity to plant seeds in lives whenever God has opened the doors. So I have spoken occasionally to Mike about Jesus and I have tried to live my life before Mike so he can recognize the difference. 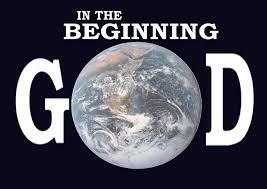 “In the Beginning …GOD”. Genesis 1:1 is my life verse and reminder to me from the Old Testament that the Bible is Gods Revelation of Himself to us from His own lips. Two weeks ago I bought a Timex sound soother radio and placed it onto my night stand. I bought the radio so that I could drown out the noise of the 4 million frogs of all kinds in the pond and forest area beneath my bedroom window. The very first night I had this Timex radio on I set the sound soother into a random choice anticipating ocean waves cresting on the beach. When I put my head on my pillow with the roar of frogs in my left ear, I hit the button for the waves. But instead I got the roar of frogs in my right ear. I decided to throw the Timex out; Elyse was going to take it to the Salvation Army. I decided to take it to work. Then just for fun I would turn the Frogs on real loud catching everyone’s attention. Well even though I hate frogs, God made them for His purposes. But I could never have expected the following to happen. Mike loves the sound of frogs singing in the night. He actually finds them restful. So I said here take it home with you, enjoy it. He mentioned that his daughter also loved frogs and was an accomplished photographer. She had won second place in a photography contest with a picture portrait of a frog. So this Timex filled with croaking amphibians was going to a good home where the people had a passion for frogs. Below is the email I received from Mike’s daughter just the other day along with my response. Here is my answer to her email. Hi Kendall, It was nice of you respond in this way. I know recently you had an accident. Sometimes life brings us things we do not want or understand. We wonder why. Then sometimes things happen out of nowhere that bring us joy. Life is full of those experiences. You always can have strength in those storms knowing the love of your parents will always be there. But beyond that there is someone who loves you even more…the Lord. He knew you before you were born and He promises to be with you every second of every day of your life. His promise to each of us is always to meet our needs…not necessarily our wants. Frogs are very low on my list, but He knew you loved Frogs and needed a clock radio (filled with Frogs).Consider this a gift from HIM personally to you. He just happened to bring us together.Your message brings a ray of sunshine into my day.Thank-you and Enjoy the gift. Yes, I had thoughts of misgiving when I received Mike’s daughter’s email. I was not sure how to respond. But then I felt the weight of the bag filled with seeds on me and I knew I was carrying seeds with her name on them. So I wrote the email to Kendall in care of her father. When I got to work I told Mike about the email and how his daughter was a wonderful and creative young woman in her response.I said I took liberty with the email to share my faith with his daughter and if he did not like what I wrote that he could edit it or just delete it. Mike read it and sent it on to Kendall. Then he mentioned that he was going to a funeral at noon for his Aunt. I gave him a copy of “ Fathers Love Letter”, http://www.fathersloveletter.com/text.html . This was written using only Scripture from the Old and New Testament. It is a letter from God to His Child. I told him I had on occasion been able to either send it to grieving families or to read it at a funeral. He took it with him to the funeral. I know God will use it to touch Mike and many others through Mike …just like God used the Frogs. Your life and mine is not about the many or even the few. It is all about your choice to speak to the ONE. Sharing your faith works best …when it’s done ONE to ONE. Jesus came down from Heaven to Earth to save each of us ONE by ONE. Every day you live is CHRIST mas. CHRISTmas is not about a bag full of toys, but about a Bag full of SEEDS. And YES when God is involved ….it’s ALL about Frogs. Sometimes I become very tired of witnessing to people who only want to convince me I am wrong and they are right. When I reach that moment in time when I feel I have done all I can, I walk away. The following is what I send to the person that remains, deaf, dumb and blind to the truth written in the Old & New Testaments. If you do not believe in the One True God then your faith system is in yourself, and in the opinions of others. In 1982, I was much like you. Then my father had his 3rd heart attack and died under strange circumstances that caused me to begin a 3 year search through multiple religions to find God. Everyone said there was only one God, yet the gods of these religions (man made religions) all had a different god, described in their holy books. I looked at each religion from the standpoint of proving them using History, Science, and Archaeology. The only Book that I could believe in described the One True GOD in the Old and New Testament Scriptures. The thing that most of all brought me to my knees was Prophecy; which simply put means that the Bible is pre-written history, which is impossible unless the one who wrote it is outside of time. The Bible is the only Book that has hundreds of detailed descriptions of events that have all come true. None of the other man made religions have that. I do not believe in myths, legends or fairytales. My Faith rests in the work of Jesus, the Son of God, who came to die on the Cross for you. Jesus is the one who Rose from the Dead, walked this earth again then ascended up to heaven and said He was coming back again soon. Prophecy supports the Old Testament in every detail that is fulfilled by Jesus Christ. And HIS story– History… supports every detail of His Life lived here on earth. You owe it to yourself to study the Bible to disprove what I am saying. Because until you have read it at least once, we have no common ground to continue this conversation. Get a complete Bible with the Old Testament and New Testament. I suggest the MacArthur Study Bible…English Standard Version http://www.gty.org. Read Matthew, Mark, Luke and John first then go into the Old Testament and read the Book of Isaiah. In Isaiah, you will find the details written 700 years before death, burial, ascension of Jesus the Son of God. Then read through the Bible once to see that it is really the pre-written History of the coming of the Messiah the Savior and the end of Mankind as we know it and the New Beginning of the Universe. And that you and I are Eternal Beings and will live on beyond our own death either in Heaven with Jesus or in Hell without HIM. When you have read the Books of Matthew, Mark, Luke, John, Isaiah and Revelation at least once we then can continue this conversation. You owe it to yourself and to no one else to find out who the TRUE GOD IS. You are now on my prayer list. May the One True GOD bless you as you SEEK HIM OUT. You will be amazed as you read HIS Word that you will find yourself written within its pages. Who else could speak with knowledge about the beginning except the person (The Triune God) who was there? If you become a serious Bible Student you will realize as you read that nowhere does GOD take the time to defend Himself or any of His statements about anything. The closest He comes to defending His word is in Job. And even there God makes NO defense of who He is, rather He makes it clear that Job has no right to make comments or even ask a question of HIM. Read Job ch.40 thru 42 vs.6. HE IS GOD…we are His Creatures ! That is the beginning of knowledge about God and the beginning of our limited understanding of His Purposes for us. Just as the world had a beginning so too must your witnessing. Everything you will say to a non-believer in defense of HIS Word has its basis anchored in the Autobiography of God disclosed to us ONLY in His Bible. For anyone to take your statements seriously they must objectively examine the evidence for our faith in the Bible and be open to the conclusion it gives. Using the word of God means the persons argument is with God Himself and not your words. To get anywhere in witnessing to those around us we must be able to prove the Bible is Historical and Speaks Literally to us through Inspired Authors (Prophets and 12 Apostles) chosen by GOD centuries ago. NO ONE speaks for GOD today through any kind of new revelation. No Pope, NO Pastor, NO Reverend, No self-appointed Apostle, No self-proclaimed Prophet on TV. The word of GOD to His Creatures ended in the Book of Revelation. Those who claimed to speak for GOD have formed the world’s religions which in turn are spawned from the pit. Not one of those religious books can stand under historical, archeological, scientific and most of all Prophetic scrutiny. They were ALL created by Satan, the god of this world. Today, GOD only speaks to us from HIS WORD…and nowhere else and through no one else! There is NO new revelation from GOD that is not contained between the pages of the Books of Genesis thru Revelation! The Bible you own is ONE BOOK. With ONE HERO….JESUS, with One villain….satan, with ONE Theme….SALVATION and ONLY ONE Purpose….to Glorify GOD. JESUS ….is a REAL PERSON. JESUS…. lived a REAL LIFE. JESUS…. died a REAL DEATH on the REAL CROSS. Jesus… came back from the dead. An Intelligent Mind needs no more proof ! God has a plan from Eternity Past; for every day, every hour, and every breath of life, word spoken and written; that would come out of me while here on Earth. That is the lesson HE taught me in 2012 after heart surgery for 2 – 80% blockages. I am not mine, I am HIS. God saved me for a reason. That reason is so I would tell everyone the Good News of Salvation through Christ. However, there is NO GOOD News without understanding the BAD NEWS First. Also there is no real SALVATION without REPENTANCE. So the journey begins with the FEAR OF GOD. I believe sounding the alarm of what is coming now, is the only reason that God allows me to live another day. To share His Gospel means knowing enough about Jesus in Scripture; so we can not only proclaim HIM to the Lost but also Defend HIM before people who Mock God. Yes, witnessing is tough! I have learned through the years to look for the storms. In the beginning of my walk of faith, fear would come knocking on my door. But now I realize that without the storms I would not have my strong faith in Christ and His Promises; that now make me who I am. I have spent years on Gods Anvil being molded by hammer blows. In HIS Mercy to me now He uses a chisel. I wear biblical contact lenses through which I see the world as it really is. And I have a hearing aid tuned to the whispers of God as He gently leads me through each storm. So now through living life and gaining wisdom through pain; I have knowledge and personal experiences so I can share my faith with those HE brings across my path. We are not alone in this battle. In fact what we are called to do is just speak. The Holy Spirit will give us the words. It’s a matter of confidence. Confidence placed in the Holy Spirit; not us. Perhaps your motivation and confidence is weak because you fear going against the Tsunami of Political Correctness that now governs our country and maybe some people you love. Perhaps you don’t feel confident because you are afraid you will not know the answer to the questions people will ask you. Just remember its ok to say I will get back to you. At least the conversation can continue another day. Then go home and prepare. Or perhaps you just don’t know how to bring the subject up. God is in charge of opening opportunities for each of us to witness. Your responsibility is to recognize them and open the door to the encounter. Then through prayer turn it over to the Holy Spirit, for He is there with you. You are responsible only to plant the seeds; the Holy Spirit will water those seeds with the very tears of God to make them grow. I can now stand alone for Christ, because in reality the Holy Spirit is in me and I am never alone. Each of us have scars and a Story to Tell. However, my scars will be gone when I get to heaven. But Jesus, will forever bear the wounds of loves eternal war. For when the kingdom comes with its perfected saints, He will still forever be known by His Scars. Before we begin, I need to give you some similarities between our backgrounds. I was raised within an Orthodox Jewish family and I assume you were raised in a Traditional Roman Catholic family. Each of us have loved ones who modeled a deep faith in our respective religious systems. These were and are people we trust and respect. We owe our spiritual moorings to them. 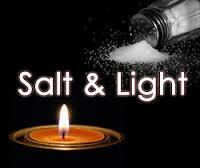 Our spiritual leaders both in Synagogue and Church, my Rabbi and your Priest respectively; gave us small portions of Scripture in their sermons. These Scriptures were generally used to support official interpretations, opinions of learned men and the traditions of the Synagogue and Church throughout time. When we were able, we both began studying our belief systems within the context of the faiths we were raised in. Judaism provided the Torah (5 books of Moses), and the Writings, the Prophets, plus 30 volumes of rabbinical commentary over 1000’s of years. Catholicism provided an Old Testament with additional books not given by God to the Jews along with the New Testament, plus 1000’s of years of Church traditions. Both faiths are steeped heavily in pomp, ceremony and liturgy. In both faith systems the Word of God is filtered to the masses, (that also means you and I), through man’s (Rabbis, Councils, Pope, Priests etc.) traditions. These traditions, representing fallible mankind, are held above the authority of God’s Word. This is backwards. We need to view fallible man’s traditions through the telescope of Gods unchanging, inerrant Word. God’s word is the only truth and authority in our lives. Yes, traditions that rest solidly on the rock foundation of the Bible are to be followed and accepted, but nothing else. God’s word is the filter or telescope to judge truth. Man looks through the wrong end of the telescope to justify himself before God and his fellow man. The latter is why it would be easy for a Jew who has become a believer in Christ to cross over to a similar faith system or religion like Catholicism and worship the Messiah PLUS Mary. That word plus is my biggest problem with the Roman Catholic faith. God’s word stands on its own throughout time as The Source of Revealed Truth. Again, the traditions of fallible men are never to be received with the same or higher status as the Word of God. Dreams, visions, prophecies and learned men’s opinions must line up with the Word of God and never contradict it. Our faith and practice must be guided by it. Our ideas and thoughts must conform to it. Our explanations must always faithfully expound it. We must not read anything into it, but only faithfully draw out what is there. As you can see I hold God’s Word as the only authority over us. Traditions whether from Judaism (The Talmud-Rabbinic Commentary) or Catholicism (Papal decrees, Church Traditions) I find wrong and misleading. I feel you are following a religious system that openly contradicts the Bible in many areas including worship. My Jewish friends also worship a religious system that openly contradicts the Bible in many areas. I was given this gift of faith in Christ by God’s Grace through the Holy Spirit and even though I cling to Christ’s feet at the foot of the cross, I know He upholds me with His Mighty hand. It is Jesus alone who holds my attention! It is by GRACE, through FAITH in JESUS ALONE that we are SAVED. There is No Other Redeemer. Many Catholic friends have told me how excited they would be to go to Rome and see the Cathedrals, to see the Pope, to walk were Paul and Peter the great fisherman walked. Well I also have a dream…to go to Israel and Jerusalem…to see where JESUS walked….That is the difference between us…..You are Jesus PLUS and I am Jesus ALONE. I do not want our differences to come between us. I respect your profession of faith in Jesus, but I cannot accept the additional trappings that go along with it. My views are filtered through God’s word alone, not traditions. Scripture in its original canon is the only truth! Adding to Gods Word with additional books brings condemnation from GOD.